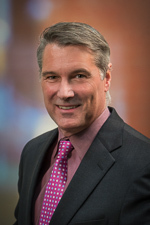 Dr. Bernard is a professor of pathology at the University of Utah School of Medicine. He received his MD from and completed his postdoctoral training at the University of Utah and is certified in clinical pathology by the American Board of Pathology. Dr. Bernard’s laboratory at the Huntsman Cancer Center utilizes comprehensive genomic analyses to identify and translate biomarkers into clinical care for cancer patients. His work in gene expression classification of breast cancer led to the development of PAM50 (Prosigna), an FDA-approved diagnostic offered worldwide. His current research are in the development of liquid biopsies using ctDNA, CTCs, and exosomes for monitoring and early detection of cancer.